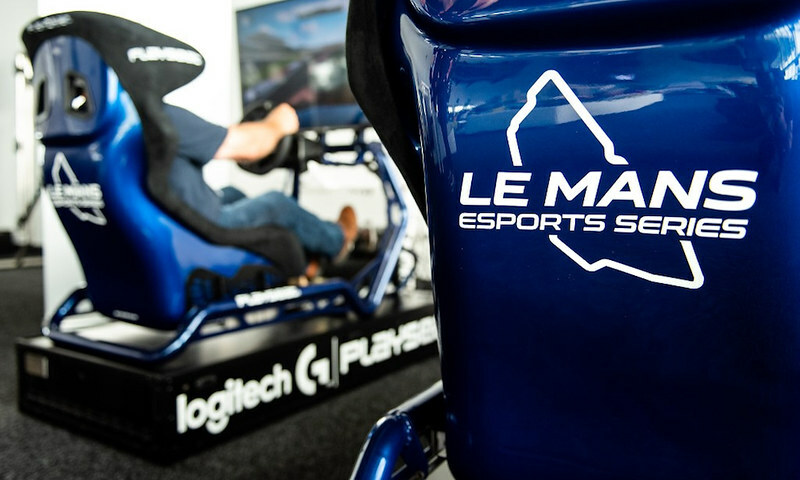 During the ongoing FIA World Endurance Championship (WEC) weekend at the British Silverstone circuit, the digital media platform Motorsport Network and the Automobile Club l’Ouest (ACO) launched their Le Mans eSports Series, with technical support provided by Parisian esports company Glory4Gamers. The Le Mans eSports Series follows a calendar which takes qualifying players through 6 qualifier sessions and a Super Final to be held in France at the 24 Hours of Le Mans in June 2019. The competition boasts a $100,000 prize fund. But that’s not all. To honor the spirit of motorsport, the winners will be celebrated on the official 2019 Le Mans 24 Hours podium during the world-famous endurance race. Rookies, Amateurs, and Professionals are all welcome to register and start qualifying using Turn10 Studios Forza Motorsport 7. Competitors can qualify online from the comfort of their home or visit one of three on-site events for held in Fuji, Japan (October 2018), the Autosport International Show, in Birmingham UK (January 2019), and Sebring, Florida (March 2019). Check out the main Le Mans eSports Series website for more details, or registration. The Le Mans Esports Series championship is composed of 6 events and a Super Final with teams that will take place at the 24H of Le Mans 2019. While registering, you are invited to chose the region that you reside for which you wish to compete (you can only compete in one region). Open hotlap qualifications, in conditions ( track, cars, settings, etc.) specific to each race. Races, supervised by the expert marshals of Glory4Gamers. This is where you have to show your true driving talents and your ability to last the distance. Ranked races, based on previous hotlap qualifications. In conditions (track, cars, settings, etc.) specific to each race once again. Reflecting the spirit of endurance and of the World Endurance Championship (WEC) events. Directly by winning one of the six qualifiers of their regions. For each of the 6 qualifiers, each regional champion directly qualifies for the Super Final. Or at the end of the six stages of the championship according to the team points rankings. Team points are the sum of each of its pilot’s points: pay much attention when choosing your teammates! Finally, two teams will be directly invited by the LMES Organization (“Wild Cards”). See the section: How to qualify for the Super Final at Le Mans for more details. At the end of each qualifier, points are awarded to participants based on their results AND the number of participants. The more you will be to have participated in a qualifier, the more points will be awarded: whatever your level is, you will have the interest to invite a maximum of your contacts to join the qualifiers of the Le Mans Esports Series to see some sudden changes of situations in the general ranking. The Super Final, which will take place at the 24 Hours of Le Mans 2019, will bring together 36 drivers grouped into 12 teams in a race that matches the myth of the 24 Hours of Le Mans.